It goes without saying that it is important to that potential customers can easily get in contact with your business, quickly. Therefore, it is usually a good idea to gather all contact information onto one page so users can quickly get an overview of who to contact and how. 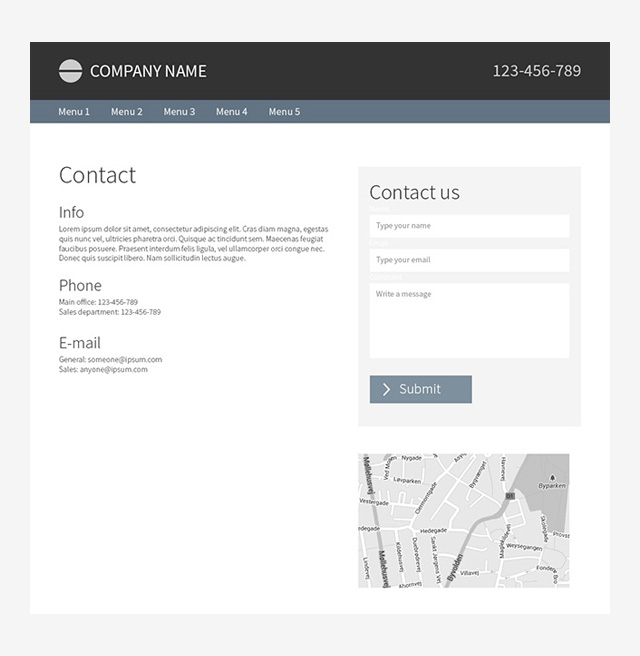 Contact pages should contain important phone numbers, emails, the official company name and address, as a minimum. If you have a physical business, it is also a good idea to show the location on a map. You can also choose to use to add a contact a form on this page. The advantage of a form is that it allows you to define some of the information you require when someone would like more information, for example their name, email, company name, etc. You can do all this easily with dedicated modules in the mono tool. 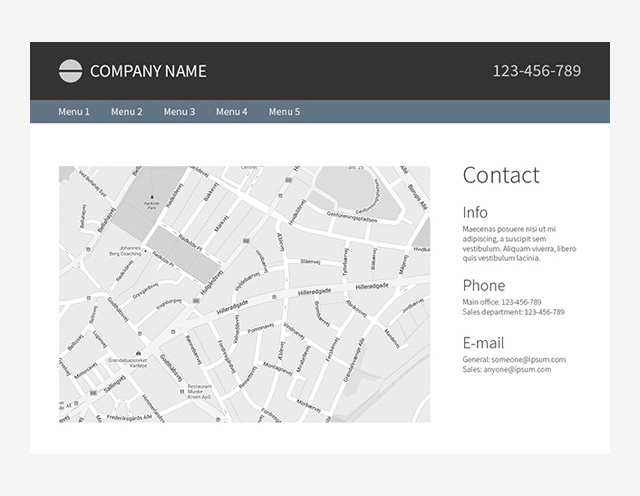 This example above uses the physical location of the business as the focal point of the page using the map module. On the right there is contact information including telephone numbers, email addresses and practical information. 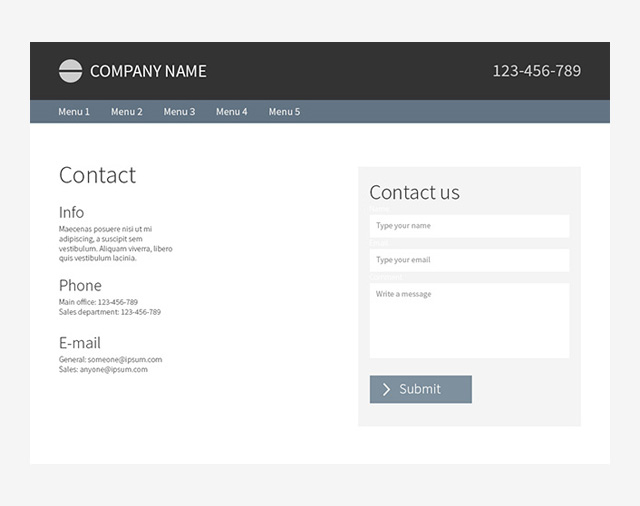 In this example the standard contact information is built up on the left-hand side of the page with a contact form on the right. Note the simplicity of the page. This helps visitors get the information they need quickly. 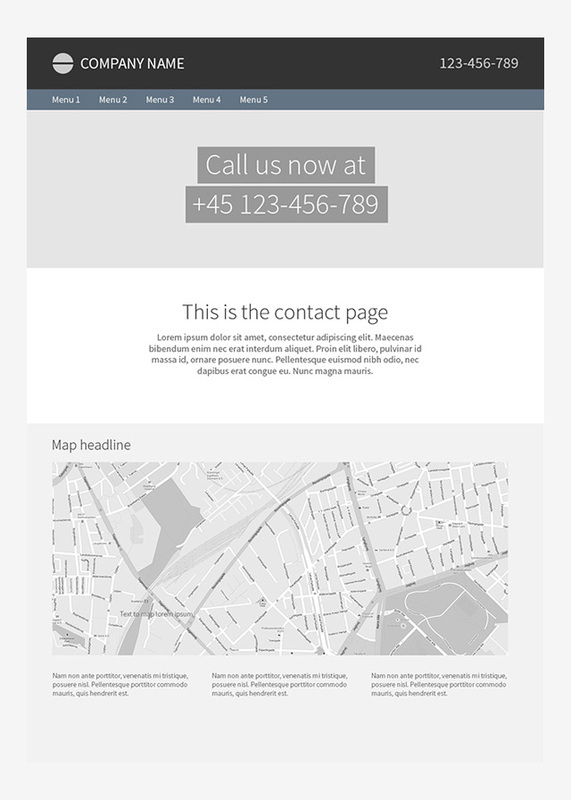 In the example above it focuses on the business phone number as the primary call-to-action. This would be great for a business where phone orders are important (for example, a florist). This is done using a background image and a display text on top of it. Below this is an informational text, followed by a map. This last example is identical to the second example, just with the addition of a map.